Add style and functionality to your Jeep with HELLA off-road lights. These Mopar HELLA Jeep windshield lights give you a huge field of vision, even in the lowest light conditions, because they're 55-watt powerhouses with free-form light reflectors. These HELLA Jeep windshield lights are designed to fit on a light bar, on A-pillar windshield mounts, or the roof basket. 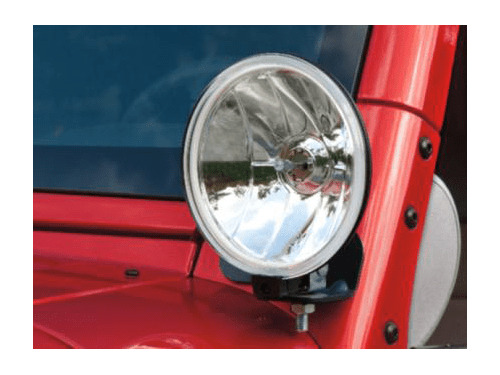 These 6-inch and 7.5-inch lights come in pairs; you get the whole package when you shop with JustforJeeps.com.